My love for You, O Lord, reaches to the moon-lit February skies. Clear lit mountains illuminated into a beauty only darkness and night can behold. Remnants of such Glory. That’s how I love you. If my heart held a quill, it would write of the glory and grace and loving forgiveness that occasionally dissolves my jealousies, envies, hatred, disgust, fear, critique, judgment. If my tongue was a quill, I’d teach it to beg for grace and strength from Christ to speak with love to my wife, my family, my friends, my co-workers, my acquaintances, my unexpected encounters. My hand holds a quill. May I learn to notice, recognize, perceive and describe what my heart and my mind can lay hold of – for to tell others. For to remember myself. Writing may become like milking cows in that I am a link between “the Source” and “the Need.” While I can never substitute as “the Source,” I am amongst the needy. I help place the Sources’ goodness into a vessel to be distributed to the hungry. My writing habits take on the look of my milking disciplines. Those ‘ol cows must always be milked. I would never, not milk. There’s great beauty in my calling. I get to know the Source more and more. The goodness the Source provides is drunk by many. I shant control the effects or the workings of that goodness. Only the Source knows the needy one’s need. But the beauty of that lies in the promise and hope that the Source is always working His goodness. Lord, teach me to notice your effects and marvel, rather than judge your effects and critique. Milk is fruit. But that fruit might produce other fruitfulness to be borne. Just as I would never not milk the cows, may I never not write. Of course, reading good books and meditating on scripture are vital to me as a writer, yet so is milking cows. Let me “husband” my writing skills. My writing is part of my praise toward God. Its worship. Just as I’m surrounded by the sometimes subtle, sometimes boisterous sparrow songs in the milking parlor, let me remember their song, songs that are powerful enough in praise to pull the morning sun up over the horizon. O, may my words be like sparrow-song. Milk is life-giving. Words can be life-giving. O words. O WORD! Milk comes from blood. Words can come from soul-blood. Blood carries life to a point of need in bodies. May my words carry life to a point of need in souls. Dear reader. I wish to place something good into your soul that may enable you to smile, to make it through a present moment. Something that may give you a voice with which to praise God, our lover, our Source. Words are nutrients. I will assemble them into clusters and maybe they’ll be like a cluster of grapes, full and sweet. And maybe you will pick them out of the cluster, one by one, and smell them, feel their texture, taste them, swallow them, digest them and absorb something so good, it’s as if I fed you a meal. Lord, crush my words. It’s okay. There’s goodness inside – good enough to form strong, stout, life. I don’t desire to teach with words. There are so many teachers already, capable and skilled with words that teach. 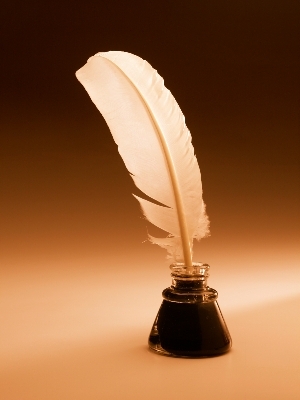 Rather, I wish to write to provoke a desire to learn, to search out, to ponder, to discover, to encounter God. So Lord, teach me to show, not tell. You did so Yourself with story, with parable.